Over the past few days I’ve been working on a puzzle. 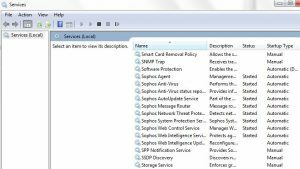 Sophos Enterprise needed to be migrated to Sophos cloud – This had to occur since clients became more disconnected from the corporate network, working from home and other sites besides the office. 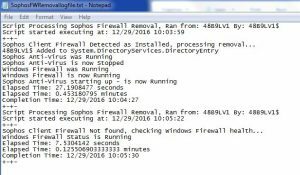 The migration provided by Sophos rejected the migration of the clients due to the Sophos firewall product being installed. 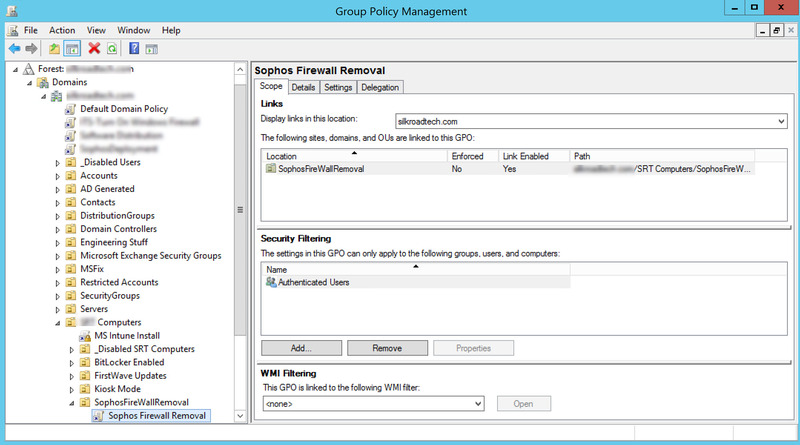 Sophos has moved away from that firewall in favor of utilizing the Windows Firewall and hooking into it. There was no easy option to uninstall the firewall during migration so one had to be developed. 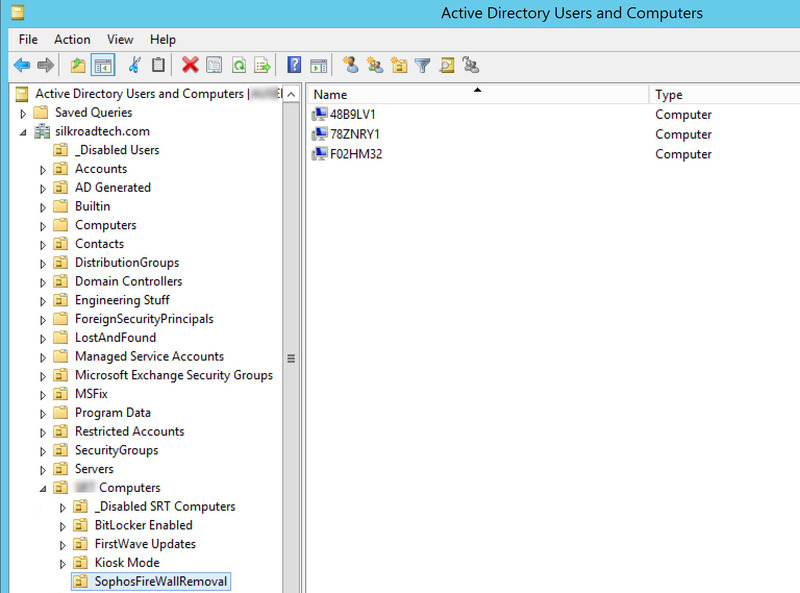 To do this, I leveraged, powershell and the power of group policy. 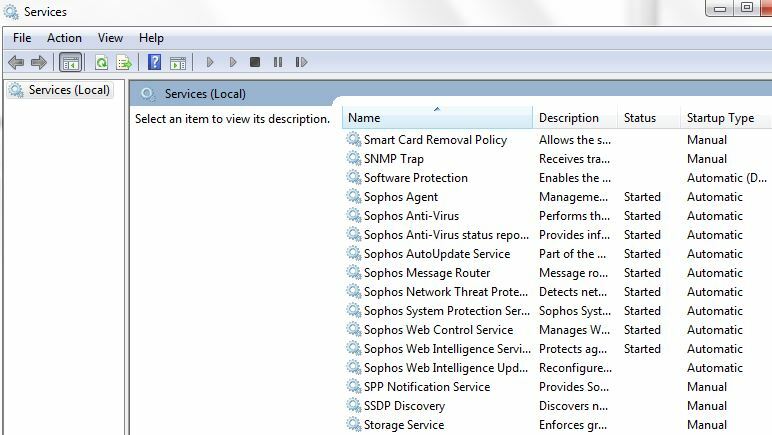 Things we had to accomplish – add the user to a local group “Sophos administrator” (giving the ability to uninstall, which Sophos locked to the group), Shutdown Sophos AV, Uninstall the firewall, Start Sophos AV and ensure Windows Firewall took over. I also threw in a quick bit for logging. You could likely get more creative on logging and send it to a network share where IT could monitor results. Lets take a look at the overall configuration first. 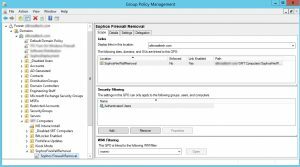 Third, Open up group policy manager, configure the policy. Mine runs against the computer configuration. 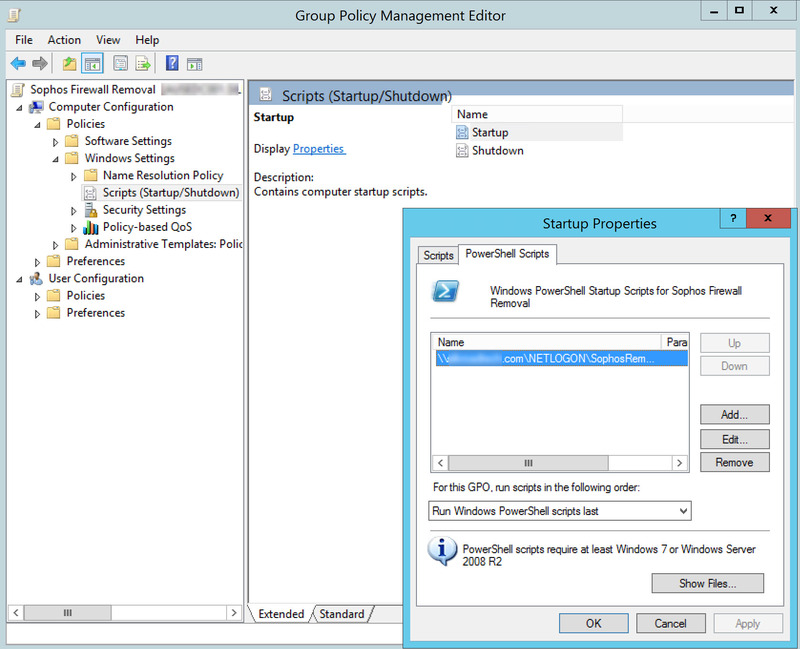 In policies, Windows settings, Scripts (startup/Shutdown) I apply a startup script on the powershell scripts tab. 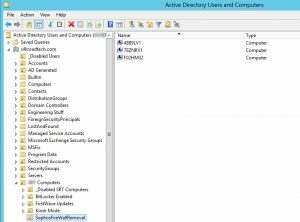 Note that running a script here runs as the machine’s service account and bypasses local powershell run policies and elevated access requirements, so you don’t have to worry about changing UAC or powershell run environment. Next, apply the policy to the domain and wait for it to bake. Depending on your domain this could take 30 or so minutes. Now, you can motivate the computers along. A couple of useful command prompts “gpupdate /force”, “gpresult /r /scope computer” also fun, gpresult /h gpreport.html for an easily readable report. These commands have to be run as an administrator elevated command prompt, or you’ll get a nasty message. When you read the result, it will list which policies have applied to the machine. 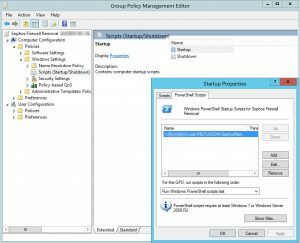 You can also use group policy manager to model results, but why model when you can play with the real thing? Next, we’ll reboot the computer, knowing the policy is applied and look for some results. 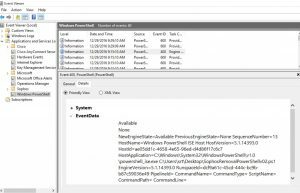 The log file, the event viewer, and notable lack of the Sophos firewall service equals success. 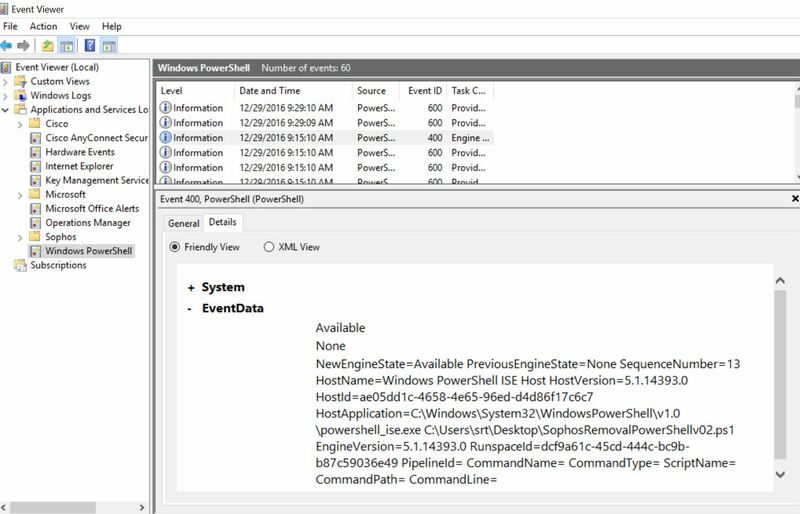 Ok… so that was cool… you’ll likely need this other thing… the sample powershell script that does all this magic. # Version - 0.2 - Execute build. 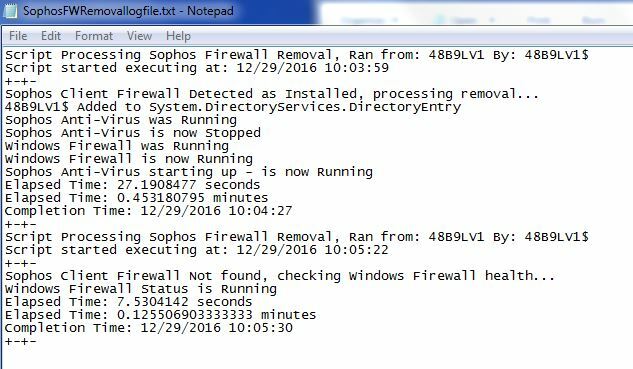 $SophosFWServiceName = "Sophos Client Firewall"
$path = Split-Path -parent "C:\Temp\*. *"
$logfile = $path + "\SophosFWRemovallogfile.txt"